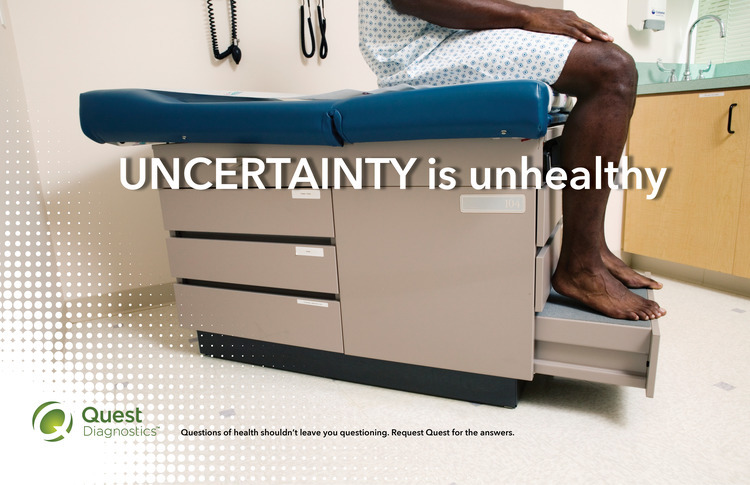 Quest Diagnostics is one of the most challenging clients I've ever had to write for (and I do mean that in a good way), with audiences running the gamut from payers and health care executives to patients, physicians, and administrative staff. Quest has a unique corporate structure: it's essentially a series of franchises, divided up not only by product but by geographic region. And all communications are unified by the Quest brand principle of "insight from action." During my time at CDM, I worked on dozens of big assignments for the brand, including the launch of a portfolio of sophisticated health care analytics tools, community-based events to highlight's Quest's HCV testing, a microsite designed to streamline Quest's own behemoth full-line website, the "Knowing" campaign, to help create a more emotional connection between Quest and its audiences, and many others. 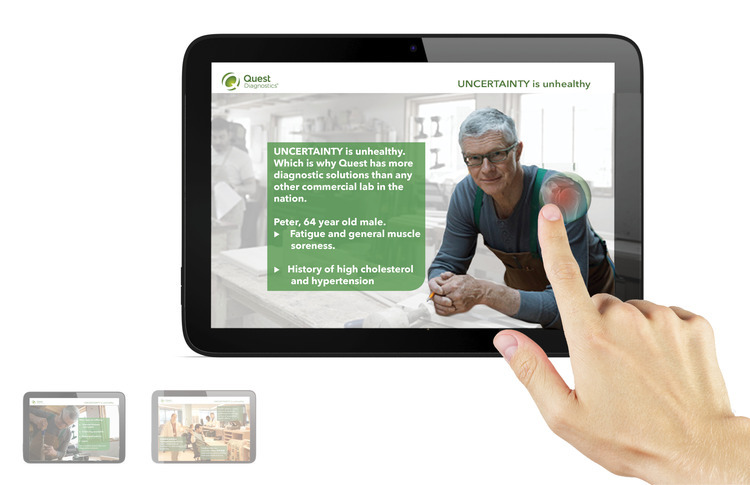 Below you'll find examples of the videos, the Quest Analytics iPad presentation, and a few screens of a detail aid created for reps to go out and speak to various audiences (physicians, health care executives, payers). Also, I have to give mad props to my art supervisor partner, Lola Martinez, who helped make all of these projects come to life and was able to call in 11th hour miracles on a regular basis.